Pre-election spending has led to fiscal slippage by a modest margin but the sovereign rating profile of India would be evaluated based on the medium term outlook in the post-election Budget, Fitch Ratings has said. 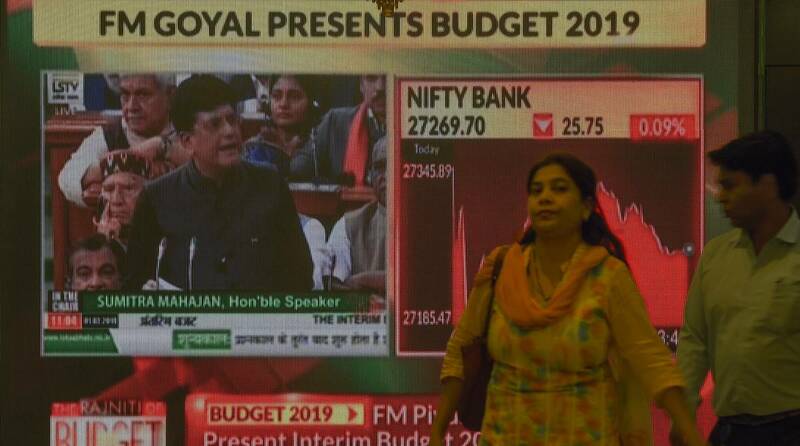 Finance Minister Piyush Goyal on Friday presented the Interim Budget for 2019-20 in which he announced out a scheme under which farmers holding up to 2 hectares of land would get a Rs 6,000 annual payout — a move intended to benefit about 12 crore farmers, among other measures for middle-class taxpayers. However, there was a 0.1 per cent slip in the fiscal deficit estimate for the current financial year. It was revised to 3.4 per cent from the budgeted 3.3 per cent. For the next fiscal, fiscal deficit has been pegged at 3.4 per cent of GDP, up from 3.1 per cent as per the fiscal consolidation roadmap outlined earlier. “Longer term fiscal trends are more important to the sovereign rating profile, and we will evaluate these in the context of the post-election budget, which should provide additional guidance on the medium term outlook,” Schwartz said. In November last year, Fitch had retained sovereign rating for the country at ‘BBB-‘, the lowest investment grade, with a stable outlook. The rating agency said that a weak fiscal position continues to constrain the ratings and there were significant risks to macroeconomic outlook. In its commentary, S&P Global Ratings Analyst Andrew Wood said the budget at first glance suggests little change in the government’s medium-term fiscal trajectory. “The government’s projections suggest a stabilisation of the central government deficit at 3.4 per cent of GDP next year, in line with its estimates for the full year 2018-19 outturn. The emphasis is slightly more oriented towards social spending this year, especially with regards to the hike in minimum support prices on 22 major crops, and structured income support for smallholder farmers,” he said. Wood said as per the budget, capital expenditure will rise more slowly next year, following a notable rise in full year 2018-19. “On the whole, these measures are largely in line with expectations in an election year,” he added. S&P in 2017 had kept India’s sovereign rating unchanged at the lowest investment grade of ‘BBB-minus’, citing high government debt and low income levels. In its commentary Friday, Moody’s Investors Service had said the government would face challenges in meeting the 3.4 per cent fiscal deficit target in the next fiscal, which does not bode well for medium term fiscal consolidation. “We view this continued slippage as credit negative for the sovereign,” Moody’s had said. US-based Moody’s had in 2017 upped India’s rating to Baa2 from Baa3, changing outlook to ‘stable’ from ‘positive’, and said that reforms will help stabilise rising levels of debt.